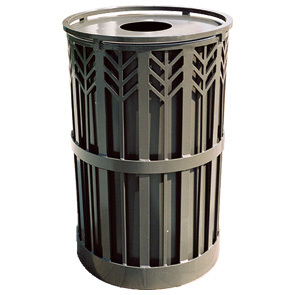 This uniquely styled trash receptacle is handcrafted using the highest quality steel and powder-coating material. Comes with a black rigid plastic liner. Available in the colors shown below. Ships fully assembled.